Awarded to the best software or hardware project overall. GoPro HERO4 Session camera for each team member. Push the limits of technology with a unique, ambitious, and technically interesting project. Bluetooth keyboard + Bluetooth speaker for each team member. A project that delivers a polished, well-thought-out user experience. Wacom Intuos Graphics Tablet for each team member. Awarded to the project deemed most original. 3D Printing Pen for each team member. The best hardware hack that makes use of wearable technology. Audio-Technica M50x headphones for each member. The best hardware hack that makes use of Internet of Things technology. Internet of Things Hardware Kit (sensors, dev kits, and more) for the team. The best hardware hack that builds on top of our Vex Robotics kits, Gazebo kits, or other robotics parts in our lab. 21.5" HP Pavillion monitor for each member. The best hardware hack with a space-related theme. Drone for each team member. For the team who best demonstrates new skills acquired during the hackathon. To qualify, more than half the team must be comprised of first-time hackathon participants. Raspberry Pi 3 kit for each team member. For the best native mobile app overall. Jawbone Mini Jambox speaker for each team member. Visualize, analyze, or represent data in an interesting and beautiful way. Fitbit Flex activity tracker for each team member. "Houston, we have a problem." For the team with the most spectacular last-minute flop. Tiger onesies for each team member. Arduino Starter Kits for the team. $250 Amazon gift certificate for each team member. Raspberry Pi + $100 visa gift card + 1 year of Wolfram|Alpha Pro + 1 year of Wolfram Development Platform for each member. Awarded to support further development of a promising project. To qualify, your team must also apply for the Thiel Fellowship. $1,000 for the team + Skype call with the Thiel Foundation program manager. Dell 1TB hard drive for each team member. Domain.com swag bag for each team member. Github Octocat for each team member. To qualify, you must host your project on a .TECH domain name. $50 Amazon gift certificate for each team member. For the most ambitious project. Google duffel bag filled with Google swag for each team member. Awarded to the project closest to being launchable as a real product. Invite to pitch at the NYC, Philly, or Boston office + Dorm Room Fund hoodies for each team member. Rewards those who tap into a publicly-available source of data, and transform, analyze, or visualize it to provide the general public with valuable, easily understood information that somehow betters their lives. Winners must primarily code Python, use public and open datasets, and create a hack that facilitates the every day lives of the general public. $500 for the team. Awarded to the project with the greatest potential to make an impact and change the world. $500 for the team. $200 (per team) to help your home high school host a hackathon + all-expense paid trips to IgniteSTEM + invites to afterparty at Google NYC HQ. HackPrinceton invites you to explore the universe. For 36 hours on April 1st-3rd, HackPrinceton will bring together 500 developers and designers to create incredible software and hardware projects. 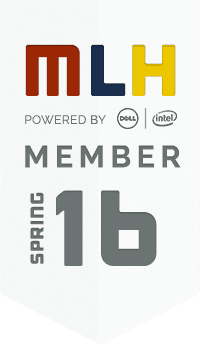 Meet fellow hackers, learn new technologies, and hone your skills along seasoned mentors. Whether you're making your first mobile app or are ready to jump onboard the most developed hardware track in the country, join us for 36 glorious hours of hacking. Submissions are due on Devpost by 9:00 AM on Sunday, April 3rd. After you submit, you can edit your submission until the deadline, so you are encouraged to begin your submission early. We are not able to accomodate late submissions. Does it feel like a quickly hacked-together project, or something that is well thought out? Is the user experience and interface smooth and well-designed?